Safe and very easy to use! 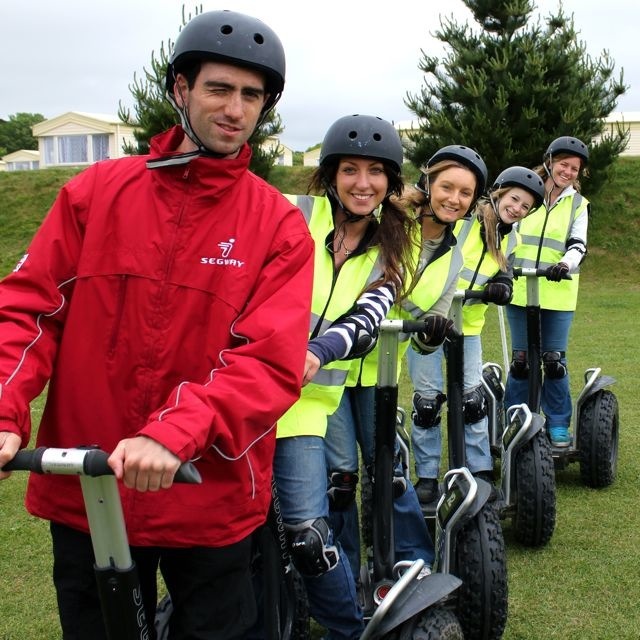 Amazing Segway Tours and Experiences! 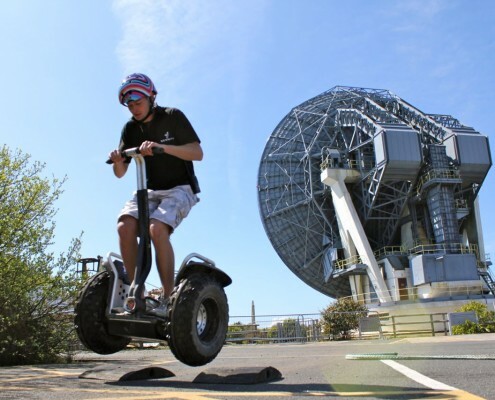 Take control of your very own Segway exclusively with us at our main base on the iconic Goonhilly Satellite Station near Helston. 90 minute on & off road session for £35pp. Open daily. 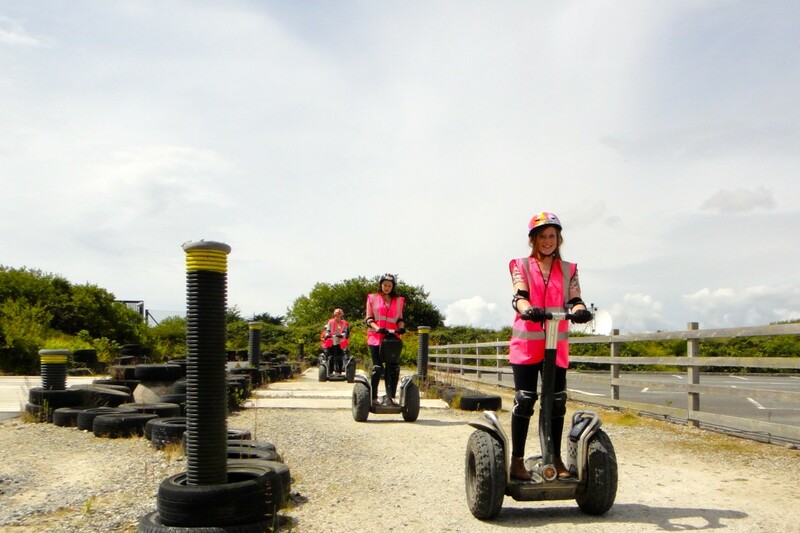 Fancy something different, why not book a Segway session at Clowance Estate near Camborne. A scenic glide around this beautiful country estate. 75 minute experience for £30pp. Operating 1 or 2 days per week. Try your hand at this olympic sport and go for gold! 75 minute archery sessions only on the Clowance site. 75 minute session for £15pp. Operating 1 or 2 days per week. 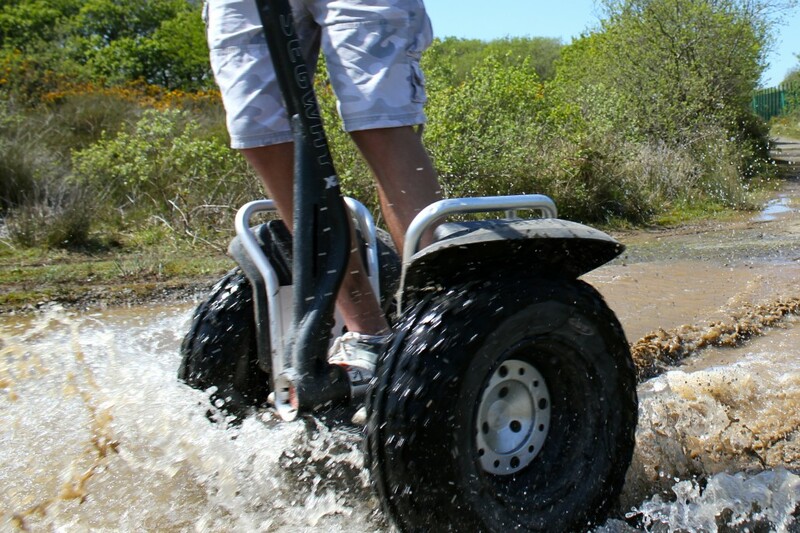 We have one of the largest fleets of Segways in Europe, with the i2 on-road Segway and the chunky x2 all terrain off-roader. Experience this unique form of transport, likened to gliding on a magic carpet. 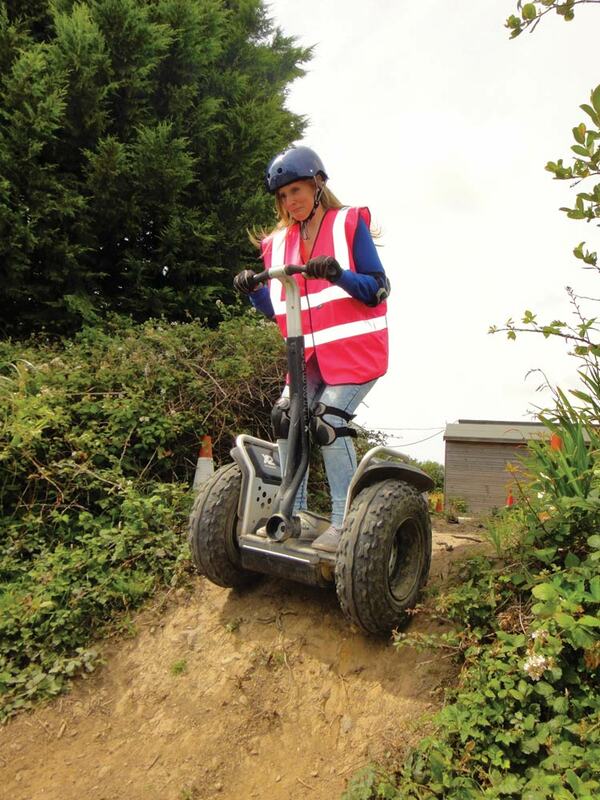 Riding a Segway is really really easy and accessible to most ages and abilities (subject to min 7st./max 18.5st. weight restrictions and other terms, please see full terms and conditions on the tours page). 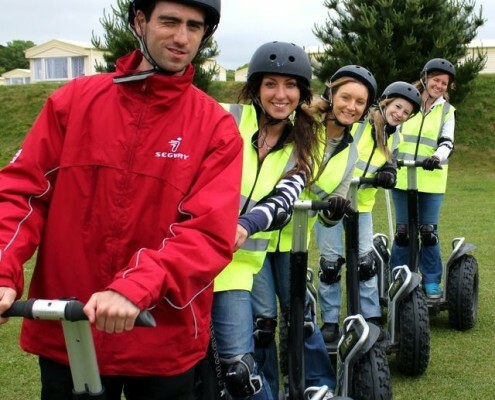 Most importantly riding the Segway is GREAT FUN for everyone. As seen on television and film, from Dr Who to the Gadget Show to Hollywood blockbusters. We also offer Archery sessions (not whilst riding a Segway!) see the Cornwall Archery page for more details. 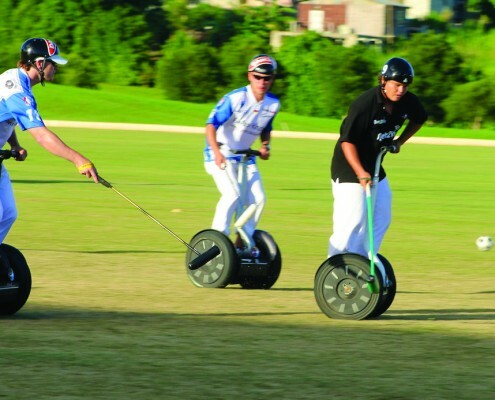 The Segways main use around the world is for enjoyment. In most countries they are legal to to ride around towns or parks, so you’ll see tour groups taking in the sights from Paris to Sydney to San Francisco. Although they do have a more serious use, many police, airport and security forces use them to patrol their areas as well. 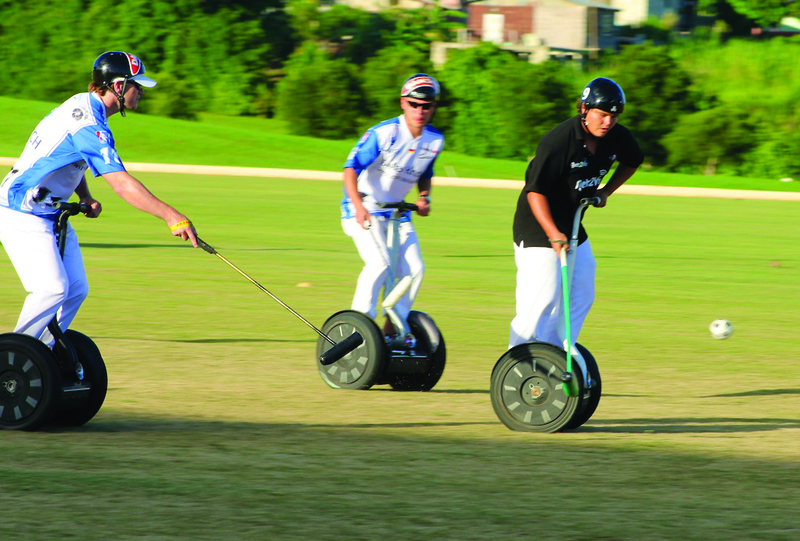 Beyond that there is also the growing sport of Segway Polo – like horse polo but on a Segway! Well possibly the closest thing to it! The Segways are crammed full of technology to make them self-balancing. This includes gyroscopes, tilt sensors and on-board computers to give you the sensation of gliding effortlessly over the ground. The gyroscopes make around 100 adjustments every second to keep you upright – unless you ride into that tree of course! Our oldest customer so far was 96 and our youngest 7 years old – although you need to weigh between 7st. and 18.5st. so ensure you check the weights of participants before you book. We get an equal distribution of men and women, young and old, so go on give it a go. If you don’t fancy it you can still watch most of the session or grab a well earned coffee. Actually this is not entirely true. Maybe because it is such an amazing sensation, we have many customers who come back regularly, either every year they holiday in Cornwall, or repeat locals from school groups or for birthday activities. If you’ve visited us before make sure you tell us at the time of booking so we can tailor the session for you. Wow!! Fantastic experience and so much fun for all members of the family. Spent 90 minutes of whizzing around in the sunshine. 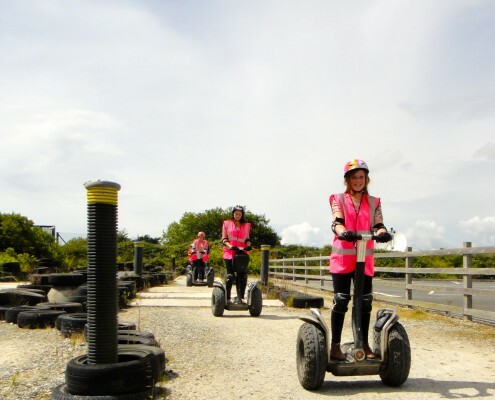 Segways literally take just 10 minutes to conquer with excellent professional training, Self balancing so the fun starts immediately and nothing to fear! Day started on an open course to get to grips, then a nice 15 mile an hour drive around. Very friendly staff and top-notch instruction to make first-timers feel comfortable enough to attempt the off-road obstacle course. All safety gear provided. 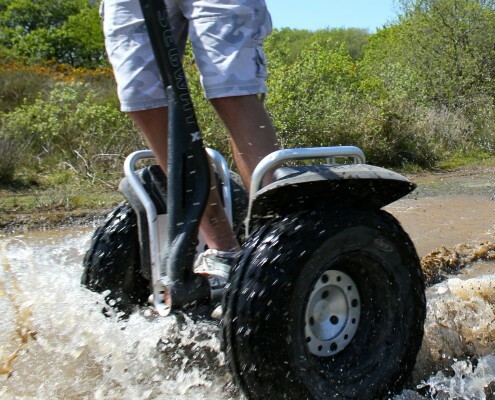 90 minute tour includes on and off-road courses on two different types of Segway. I’d booked the segways and the archery for my best friends hen weekend. I can’t praise the staff enough. I had a text from the company on the Friday night to confirm numbers due to the potential rainstorm that was due when we had been booked and whether that had put any of us off. Chris, our instructor for the segways and Steve for the archery were absolutely fantastic. 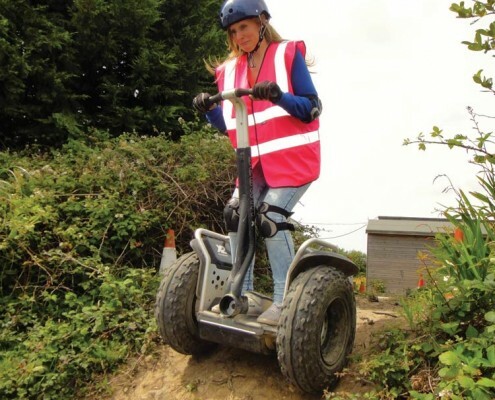 I did the Segway experience about 5 years ago when BT still ran the Visitor Centre, well what can I say now that Sam and Steve have taken over. The whole experience was so much better; the Segway’s were much faster and the courses laid on were much more demanding, but so much more fun at the same time. It’s just a shame our 20 year old Son wasn’t with us as he did the BT version and I’m sure he’d have loved this. 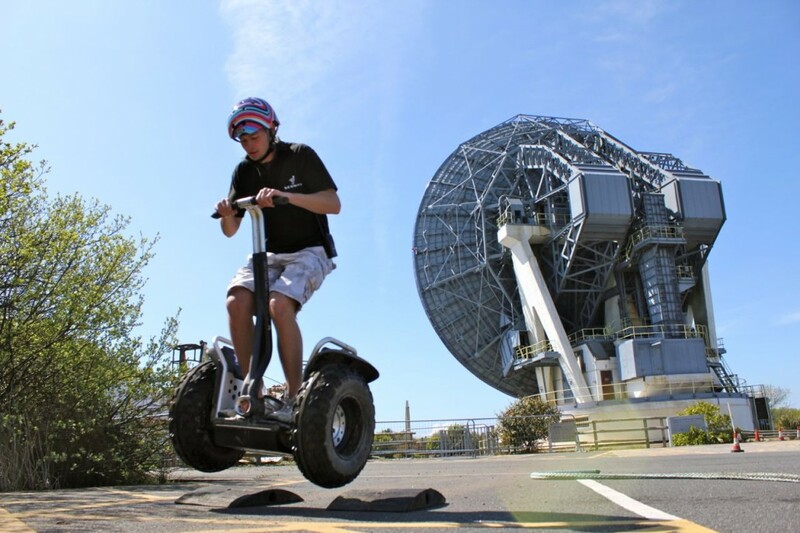 Take control of your own Segway in Cornwall at the iconic Goonhilly Satellite Station near Helston. NEW: now also at Clowance Estate near Camborne.